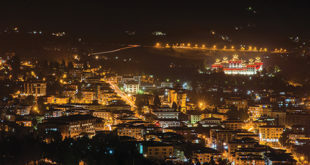 To better manage forest fire in a way that is effective and reduces the risk of working at cross-purposes, a Standard Operating Procedure (SOP) for Forest Fire Fighting was developed for Thimphu in 2017. 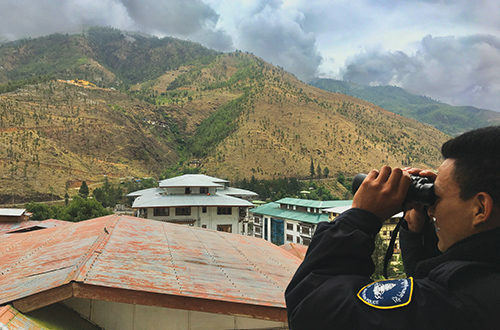 As per the SOP an Inter-Agency Forest Fire Coordinating Group (IFFCG) was formed with members from the Department of Forests and Park Services (DoFPS), Royal Bhutan Army (RBA), Royal Bhutan Police (RBP), Thimphu Dzongkhag Administration, Desuung and the Department of Disaster Management (DDM). The main role of the IFFCG is to ensure safety of the fire fighters, and to provide efficient coordination during fire incidents including quick first-response and optimal resources distribution for all forest fire fighters. In response to any information of a forest fire incident, the IFFCG deploys Rapid Response Teams (RRTs) to the incident site. RRT’s are 20-30 member fully equipped and trained teams maintained by the DoFPS, RBA and RBP to provide first-response for forest fire incidences in and around Thimphu. The RRT are equipped with Personal Protective Equipment (PPE) along with water bags, communication equipment, power chainsaw etc. and always kept on stand-by during the fires season. The DoFPS is planning to keep a minimum of two-4WD Hiluxes and also use drones to monitor and facilitate deployment of the fire fighters. For any incident, the RRTs will report back to IFFCG whether the fire is contained or if additional backup is required. Based on the magnitude of the incident, other fire fighters including Deesuups, fire volunteers, villagers are deployed to suppress the fire. In situations when fire fighters have no access to the burning sites or when the fires pose risk to important heritage sites, the DoFPS requests helicopter services, which is activated by the Thimphu Dzongkhag Disaster Management Committee and Department of Disaster Management (DDM) for availing the service. In such cases, the DoFPS designated team leaders will use GPS and provide coordinates/directions to the helicopter pilot for dropping water off at the incident site. As per the SOP, special troops of RBA will also be deployed by helicopter where areas are accessible, based on the decisions by the IFFCG and approval by RBA HQ. The IFFCG will ensure that everyone present at the fire has proper PPE for safety purposes. 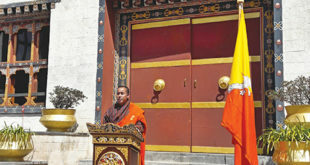 The DoFPS will attempt to replicate the SOP in all Dzongkhags of Bhutan for the upcoming fire-season especially those Dzongkhags that are prone to fire incidences – Paro, Wangdue, Bumthang, Mongar, Trashigang. Furthermore the DoFPS has already developed National Fire Management Planning guidelines and have started preparing a Dzongkhag Fire Management Plan for Thimphu. The plan is a comprehensive document that addresses all aspects of forest fire management including prevention, suppression, use of fire as a management tool and post-fire rehabilitation. Similar plans will be developed for all fire prone Dzongkhags to ensure holistic forest fire management. Kinley Tshering, Chief of Forest Protection and Enforcement Division says there are volunteer programs formed as well in certain districts to help advocate prevention programs and assist in fire suppression. Currently, there are more than 700 members in Thimphu, 100 in Wangdue and 50 in Trashigang. “As a forester, we humbly ask everyone to use fire with adequate caution and control. 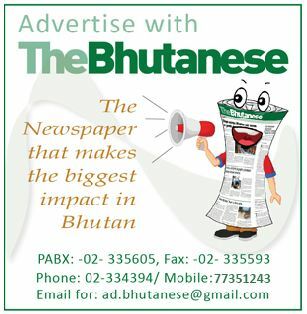 It is the fundamental duty of all citizens of Bhutan to save our forests from being decimated by unwanted forest fires. DoFP and RBP also work together when a fire from a house causes forest fire as it is near by or vice versa. When an alarm bell goes off in the fire service division of Changzamtog, Thimphu, signaling the fire brigades of a fire (structurally or forest fire). The first rescue team consisting of a fire engine holding a gallon of 1500 liters rushes off with a team of one commander, a driver and 2 firemen. They leave within 2 minutes as required. The rest of the firemen are on standby with their uniforms ready. The Commander in charge reports back from the situation and if back is required, a fire engine holding a gallon of 5000 liters water immediately takes off. While the main source of information about fire incidences are the citizens by calling the toll number 110, other sources is the newly established observation post from the fire Station, where a police monitors the surrounding area with binoculars and a radio set. Another is a CCTV camera partnering with Department of Forest and Park services for checking forest fire and structure fire as well. In 2017 there were approximately 112 fire incidences (including all fire incidences like bush fire, vehicles, electrical, forest and structures). This year it is down to approximately 40. This 70% reduction could be due to the extensive fire prevention campaign done by the police reaching 3935 people. Around 743 warning notifications were issued to those who made fire negligently and left unsupervised.